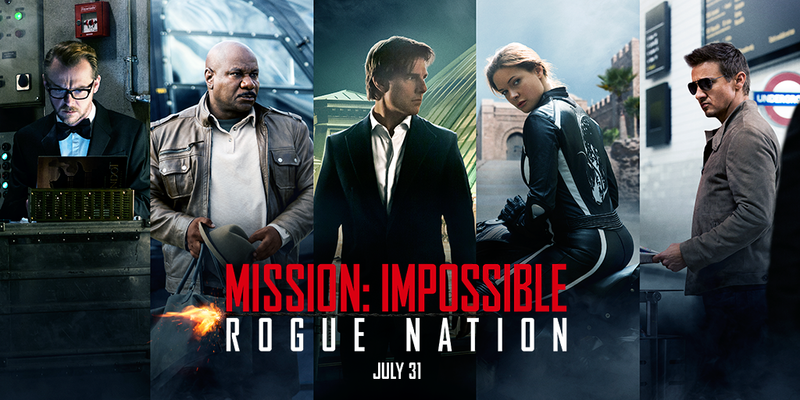 My daughter, husband and I went to see Mission Impossible without our son this time, he had to work unfortunately. We, on the other hand, not having to work, got to go and we loved it. The lady in the picture, her name is Isla, she is one heck of a fighter, agent, assasin, and all around secret operative. I loved her, she gave Ethan Hunt a run for his money, almost as much as the bad guy did throughout the movie. What makes Mission Impossible so enjoyable, at least for me, is not Tom Cruise, but the entire gang and their intricate dance throughout the movie. During certain parts of the movie I kept thinking “thank goodness for Simon Peg” He keeps the stress level down to manageable, because without his many moments of levity, I couldn’t take the non-stop adrenaline rush of Tom’s crazy stunts. I don’t know if being aware of Tom’s personal involvement in each of his insanely dangerous stunts makes it easier or more difficult to watch. Intellectually I know Tom survived all of them because I have seen him doing the press junket, but while I was watching the airplane take off, the high speed motorcycle chase, the underwater sequence an even the wild car chase, I held my breath more than once. All I can say is that Tom Cruise knows how to do action movies, go and see it, you won’t be disappointed.